Since my previous post (also refer HERE for my very first post) was on the iconic Texas Instruments' Speak & Spell electronic teaching game, today I thought it might be worthwhile to post something else from the Internet Archive's Handheld History Collection (catch the original blog post for the introduction at http://blog.archive.org/2018/03/18/some-very-entertaining-plastic-emulated-at-the-archive/) that was slightly less educational, and a bit more fun. Today, I'll be covering the original Parker Brothers' Merlin (sometimes known as Merlin, the Electronic Wizard). Subsequent, more advanced versions of this toy, such as Master Merlin are considered different products and will not be addressed here, although some can also be found in Internet Archive's Handheld History Collection. During the late 1970's and into the early 1980's, hand held electronic games became very popular with children of that era. Traditional board game manufacturers were forced to enter that market with their own electronic games. Mattel, for example, introduced its handheld electronic Football, Baseball, Basketball and Hockey to some success, before transitioning to video game system known as Intellivision that could be played from a television set. Toy maker Milton Bradley was perhaps best known for making such low-tech board game classics such as Battleship, the dice game Yahtzee, and the checkers game Connect Four. That company released the Simon electronic game in 1978, which was fairly late in the electronic games movement. Yet by 1980, Simon had still become that company's best-selling item. I want to acknowledge here that both Milton Bradley and Parker Brothers both ultimately ended up as units of Rhode Island-based toy giant Hasbro, Inc. which competes aggressively with California-based Mattel for the title of the world's largest toy manufacturer. Parker Brothers was another old-school board game manufacturer also based in Massachusetts best known as the seller of such board game classics as Monopoly, Ouija, and Clue. 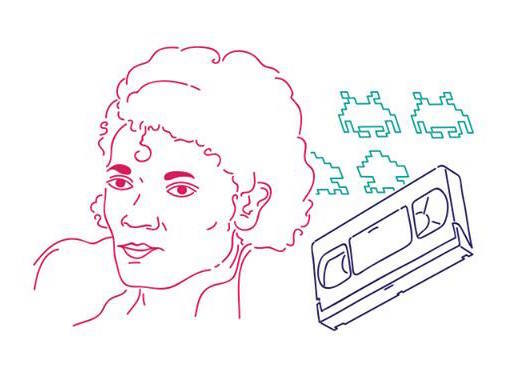 Its entry into the electronic games arena began in 1978. 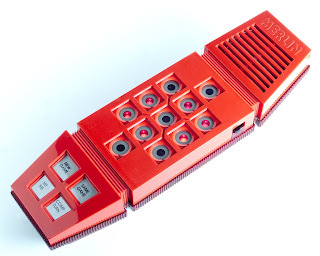 The original Merlin was for a time its bestselling handheld electronic game. The play area of the game consisted of a matrix of 11 membrane, touch-responsive buttons; each button contained a red LED which each illuminated depending on the game selected for play. The array was encased in a red/maroon-colored plastic housing, bearing a slight resemblance to an overgrown touch-tone telephone. Four game-selection and control buttons were also placed at the bottom of the unit; and a speaker took up the top section. There was also a port for an A/C adapter (which sold separately), because it used six AA alkaline batteries. Merlin's key point of differentiation from other hand held electronic games of that same era was that it was designed to play several different games, rather than one game exclusively. Merlin supported six different games, some of which could be played against the computer or against another person. The games that could be selected were: Tic tac toe, Music machine, Echo which was a repeat game similar to Milton Bradley's Simon, Blackjack 13 which was a version of blackjack that functioned with only 9 digits so users would play for a maximum hand value of 13 rather than 21, Magic square which was a pattern game similar to Lights Out, and Mindbender which was supposed to be similar to the game known as Mastermind. Each of the main keys corresponded with a number, akin to the dial pads found on a smartphone. The numbers that correspond to each key are relevant for game play. For example, each game in the hand held unit corresponded to numbers 1-6. Also, in Blackjack 13, the user must keep count of their hand and the number assigned to each key are their total for their hand in the game, plus the Music machine game, the songs are programmed with a particular key representing a note in the song. 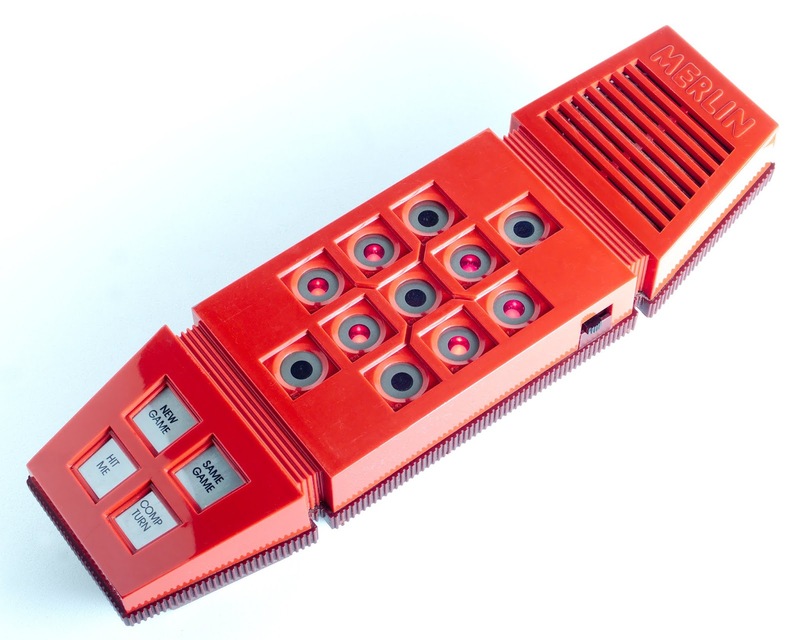 The Merlin electronic game was reportedly invented by former NASA employee Bob Doyle, his wife Holly, and brother-in-law Wendl Thomis. The game looked kind of like an analog telephone handset such as the Western Electric Trimline touchtone model (catch my post which covered that by visiting http://hgm.sstrumello.com/2017/10/iphone-didnt-kill-landline-telephones.html for reference and a photo), which could be controlled completely from the handset (including the ability to hang-up the phone, whereas older desktop models could only be disconnected from the phone's base. Merlin is notable as one of the earliest and most popular handheld games, selling over 5 million units during its initial run, as well as one of the most long-lived, remaining popular throughout the 1980's. A re-released version of the game was re-released by Hasbro in 2004. It differed slightly from the original because the newer version did not feature an illuminated membrane keyboard, rather it had actual buttons which illuminated instead. It was also slightly smaller in size than the original, and it used fewer AA batteries (four) than the original. Also, a downloadable copy of the original Merlin manual can be found at http://www.theelectronicwizard.com/manual.pdf.